A Fabricated Journey: Something special! Here's a glimpse of a page I made by request for a special customer. I'm glad she loved it! 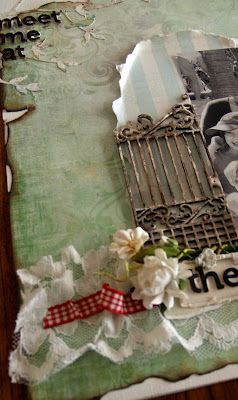 Kaiser Iron gates & Coconut Blooms. 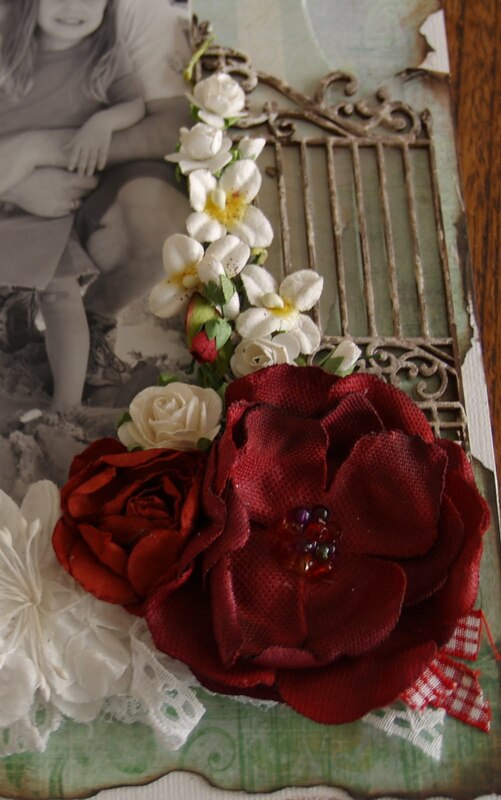 Prima Elle & Annette collection flowers, mini roses & flutter vine. Prima & My minds Eye Paper For Lyn! Beautiful, as always Geraldine! Love the use of the prima flowers.. This page was simply beautiful. Catching the sentiment perfectly. Elegant & stunning at the same time.